Oven wall in front firebrick. Oven high durability, made with cement and firebrick. Ideal for pizzas, bread and other recipes. Ovens manufacturer, wood fired ovens, Barbecue and Pizza Oven, Manufacture Garden Brick Barbecue Grill, Brick ovens. Made in Portugal. 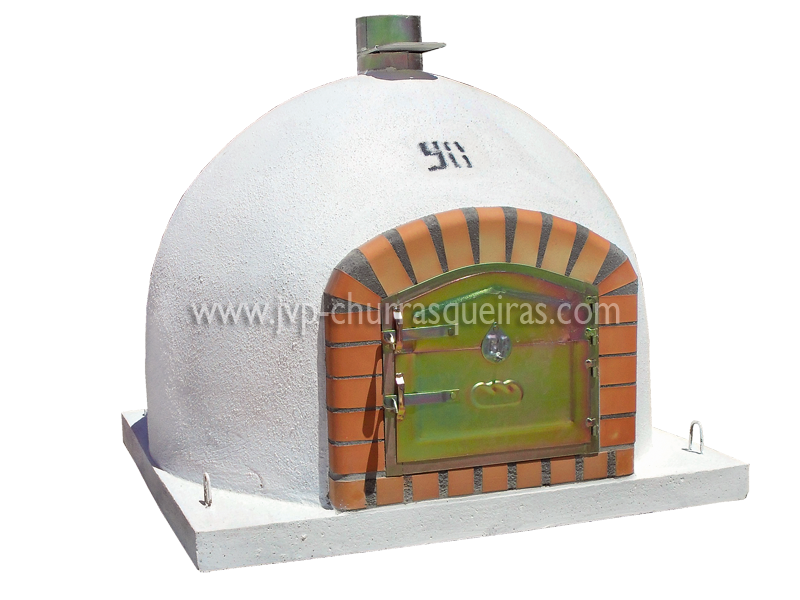 José Vigário Pereira is manufacturer of bbq grills and wood ovens, traditional Portuguese. Manufacturer of barbecues in bricks and traditional ovens. These products are manufactured in Portugal. All the material is subject to strict quality control to allow the end product is in the best possible quality. We can be proud to provide ovens and BBQ grills to all over the world with superior quality. We manufacture and sell a wide variety of wood-fired ovens. Furnaces manufactured with the highest quality and the finest quality materials. From choosing the best refractory bricks, cement in the right quantity, metal doors, etc.. Everything is well targeted to provide our customers a quality product. The human commitment to the finishes and the furnace insulation is also a concern. That is why we guarantee this quality in our ovens, after which the company will make your life much active to bake bread or pizzas, to participate in the making of an engaging manner of delicious dishes and so provide the full satisfaction of those who bet on us .